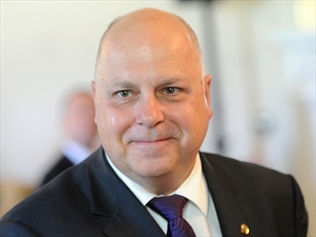 Tim Pallas was elected to the Victorian Parliament in 2006 and is the State Member for Werribee. The seat of Werribee was created at the 2014 election as a result of changes to electoral boundaries in Melbourne’s growing western suburbs. Tim is currently the Treasurer of Victoria, Minister for Economic Development and Minister for Industrial Relations in the Andrews Labor Government. He previously served as the Minister for Roads and Ports and later Minister for Major Projects under the previous Labor Government. Tim also served as the Minister for Resources in the Andrews Labor Government from October 2017 until the 2018 election. Tim has worked hard for the local community in Wyndham, delivering the funding for the Regional Rail Link, new and upgraded schools, more than $1.8 billion for road upgrades and increased funding for both Mercy and Western Health. As a Minister in the Bracks/Brumby Government, Tim was responsible for overseeing major infrastructure projects including the M1 upgrade, Deer Park bypass, Geelong Ring Road, the AAMI park development and the Melbourne Convention and Exhibition Centre. Tim is married with two children. He is a passionate supporter of the Werribee Tigers, Western Bulldogs and the Melbourne Storm.